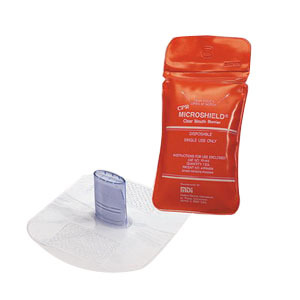 The CPR MICROSHIELD® is designed for single person rescue allowing the first responder to administer CPR confidently while using the proper CPR techniques. Each CPR MICROSHIELD® is individually packaged, complete with easy to read instructions. The sealed pouch offers a tamper evident, waterproof closure assuring the first responder a clean, ready to use device. Ideal for long term storage in first aid kits, vehicles and equipment cases. Large Variety of Compact Packaging Options. Control 3 Home Care Kit, 2 oz.